WY3031-PC Saison Brett Blend – "A blend of Saison yeast and Brettanomyces creates a dry and complex ale. Classic earthy and spicy farmhouse character meets tropical and stone fruit esters." WY3191-PC Berliner Weisse Blend – This blend makes a solid Berliner weisse with a hint of funk from “a unique Brettanomyces strain from a now defunct brewery in Berlin.” The tartness from the Lactobacillus is on the same level as the German examples I have sampled, which is to say mild. Some people do not like Brettanomyces character in their Berliner weisses, but I enjoy the added complexity and dryness. WY3203-PC de Bom Sour Blend – A new release for summer 2014. They advertise this blend of Lactobacillus, Brettanomyces, and brewer's yeast is supposed to be capable of producing a sour beer in less than two months at 80-85°F (27-29°C). They suggest fermenting in the low 80s to favor the Lacto. They also recommend the questionable/novel technique of skipping aeration initially, but adding 4 PPM of oxygen every other day once 80% of the expected attenuation is completed. WY3209-PC Oud Bruin Blend – Another new release for summer 2014. They say the results are similar to Roeselare Blend, but will not disrupt the malt character as much. Intended for dark sours and fruit beers especially. This blend contains only Lactobacillus and brewer's yeast, no Brettanomyces. WY3278 Lambic Blend – A blend of all of required microbes including strains of Saccharomyces, Brettanomyces, Lactobacillus, and Pediococcus. The first pitch makes for a rather tepid lambic, but the blend serves as a solid base for augmenting with bottle dregs. Pitch brewer’s yeast in addition to the blend to avoid the resiny off-flavors. My first batch of lambic took four days to show visible fermentation. Wyeast responded that this blend is intended to mimic the slow start of a spontaneous fermentation, but with the time involved I prefer to reduce variability. WY3763-PC Roeselare Blend – A blend of all of microbes including Saccharomyces, Brettanomyces, sherry flor yeast, Lactobacillus, and Pediococcus. It is intended to replicate the house culture of microbes maintained by Rodenbach for their Flemish reds. In an impermeable fermentor, the first pitch produces a rather lackluster sour beer, but subsequent repitchings lead to increased sourness and funk. One of my favorite blends, but it too benefits from additional microbes. WY3789-PC Trappist Blend – A blend of Belgian ale yeast and Brettanomyces bruxellensis intended to mimic the character of Orval (although Orval does not pitch Brettanomyces into their beer until bottling). It does a good job of accomplishing its stated goal, producing classic, if aggressive, horse blanket aromatics given adequate time. (Discontinued) WY5110 Brettanomyces anomalus – This strain is no longer sold because Wyeast determined that it was actually a different species of Brettanomyces than they had claimed. This strain provided a classic leathery flavor to English ales when used as a secondary fermenter, and was also a good choice for primary fermentation (although it did not perform well at elevated temperatures). It was isolated from Pizza Port’s original batch of Mo’ Betta Bretta. WY5112 Brettanomyces bruxellensis – Provides the classic Brett character made famous by Orval. Descriptors include farmyard, wet hay, horse blanket etc. It is a good choice for secondary fermentation of hoppy beers and saisons in particular. WY5151-PC Brettanomyces claussenii – The mildest strain in the current Wyeast lineup. It is similar to their Brettanomyces anomalus with flavors ranging from tropical fruit to leather depending on the conditions it is given. I like it in beers where I want the Brett aromatics in a supporting role. WY5223-PC Lactobacillus brevis – They claim this strain is more hop tolerant than their standard Lactobacillus (WY5335). It is heterofermentative and will produce both lactic acid and alcohol. WY5526 Brettanomyces lambicus – Big cherry pie character when young, but the fruitiness fades as the beer ages. This strain is a good candidate for a primary fermentation, or as an addition to darker beers. It produces more perceived tartness than the other Brett strains in my experience. WY5335 Lactobacillus (buchneri) – A hop intolerant strain, it will struggle to produce lactic acid in wort above about 6 IBUs. A good choice if you want to brew a sour beer without Brett character. This is not the same as the L. delbrueckii strain sold by White Labs. Wyeast claims their isolate is capable of increasing the acidity without significantly lowering the gravity. The strain is only capable of 10-12% apparent attenuation on its own according to Wyeast’s tests, although several brewers I spoke to reported experiencing as much as 70% attenuation when pitching it alone. Wyeast attributed this to Saccharomyces cross-contamination. WY5733 Pediococcus – Will produce abundant lactic acid and diacetyl, but will not cause your beer to become “sick” in my experience, despite Wyeast’s claim to the contrary . It is typical to pair it with Brettanomyces, which reduces the diacetyl the bacteria produces to less-flavorful compounds. WY9097-PC Old Ale Blend – An English ale strain paired with Brettanomyces lambicus. Be careful not to let strong English ales fermented with this strain finish too dry. An ideal candidate if you are planning to kill the microbes before it gets too dry and funky (see Chapter 13). WLP630 Berliner Weisse Blend – Contains a hefeweizen Saccharomyces strain along with Lactobacillus, so it will not result in a beer as clean as a classic Berliner weisse. It produces a beer closer to Professor Fritz Briem 1809, which exhibits banana and clove aromatics in addition to sourness. WLP644 Brettanomyces bruxellensis Trois Saccharomyces "bruxellensis" Trois – First released in mid-2012 suggested to be White Labs version of Brett bruxellensis var. Drie, the huge tropical and citrus esters it produced during primary fermentation were similar to what I have tasted from the BSI strain. However, in 2014 genetic analysis conducted for Omega Yeast Labs (and echoed by others) found that it was in fact Saccharomyces. White Labs confirm a few months later. More details. WLP648 Brettanomyces bruxellensis Trois Vrai – "The vrai (true, in French) Brettanomyces bruxellensis Trois. The infamous strain used for all-Brettanomyces fermentations, has a robust, complex sour character with aromas of pear. Best used as a primary fermentation strain." A true replacement for B. bruxellensis var. Drie? WLP650 Brettanomyces bruxellensis – Similar to the Wyeast Brettanomyces bruxellensis, but with slightly more aggressive farmyard funk aromatics. Wait until after primary fermentation is complete to pitch it unless you want an assertive Brett character. Used for bottle conditioning it gave a wonderful citrus character that was perfect for a batch of Belgian single I brewed. WLP653 Brettanomyces lambicus – This strain has a much more aggressive and funky-smoky character than its Wyeast equivalent, lacking the cherry pie character that is usually cited for this strain. It is a good addition to certain blends, but pitched on its own, especially early in fermentation, it is too assertive for my tastes. WLP655 Sour Mix 1 – Contains Saccharomyces, Brettanomyces, Lactobacillus, and Pediococcus, all of the strains needed to ferment a long-aged sour beer. The funk character of this blend is more aggressive than the Wyeast blends. WLP661 Pediococcus damnosus – White Labs sold Pediococcus as part of blends for years before releasing it as a single microbe pitch to homebrewers. This is likely because it is a prodigious diacetyl producer best used in combination with Brettanomyces (nice to have the choice). WLP665 Flemish Ale Blend – A blend that is White Labs’ response to Wyeast Roeselare Blend. It contains all of the microbes needed to ferment a Flemish red or oud bruin (brewer’s yeast, Brettanomyces, Lactobacillus, and Pediococcus). Its first release was in September 2012, so I have not had an opportunity to sample a finished beer fermented with this blend, but White Labs suggests it produces more “dark stone fruit characteristic” than their Sour Mix 1. WLP670 American Farmhouse Blend – A combination of a saison brewer’s yeast and a Brettanomyces bruxellensis strain. The blend is based on one used by The Lost Abbey, the brewery is located close to White Labs. This strain provides earthy aromatics similar to the regular White Labs Brettanomyces bruxellensis, but is not quite as aggressive (although that may be a result of the highly attenuative brewer’s yeast strain included). WLP672 Lactobacillus brevis – Claimed to produce more lactic acid than than their culture of L. delbrueckii. WLP677 Lactobacillus delbrueckii – This heterofermentative bacterium produces lactic acid and alcohol, but not much distinct character of its own. It is does not produce lactic acid as prodigiously as the Wyeast strain, but it is a bit more hop tolerant (White Labs claims to 20 IBUs). It can ferment most of the most common sugars available in wort including: glucose, fructose, maltose, maltotriose, raffinose, and even lactose (but not mannitol, melibiose, or xylose), which means that it will cause a significant gravity drop on its own. The Berliner weisse I fermented with this strain alone achieved 75% apparent attenuation, but only a faint tartness. ECY01 Bugfarm – Each Bugfarm iteration contains a unique combination of 10-20 microbes isolated from a variety of top-shelf sour beers (e.g., Russian River, Fantôme, Cantillon, and 3 Fonteinen) and other sources (e.g., sourdough, and kombucha). The Saccharomyces is usually a blend of saison strains, but little of that character is expressed in the finished beer. Bugfarm III produced bright sourness with a fruity Brett character, while Bugfarm IV provided a sharper sourness to a barrel-aged golden ale. Pitching one of these blends (when fresh) does not necessitate augmentation with any other microbes. ECY02 Flanders Red – Similar to Wyeast’s Roeselare Blend, but intended to produce more sourness on the first pitch. It is fine on its own without additional souring microbes because it is balanced to have a greater proportion of lactic acid bacteria. I'm told the best barrels from the first two sours at Modern Times were inoculated with ECY02. ECY03 Farmhouse Brett – This blend is a combination of several saison strains (sold without Brettanomyces as ECY08 Saison Brasserie) and a Brettanomyces isolated from Fantôme. This strain adds a subtle leather and funk, closest to the discontinued Wyeast Brettanomyces anomalus. ECY04 Brett Blend #1 – A mix of Brettanomyces strains isolated from gueuze (i.e., Boon, Girardin, and 3 Fonteinen) that add an aggressive, complex Brett funk, horse blanket, spice, and over-ripe fruit aromatics. A blend that is best to save until after a highly attenuative primary fermentation is complete to temper its flavor contribution. ECY05 Brett Blend #9 – Even more aggressive barnyard Brett character than Blend #1, best saved for beers that are already quite dry. With “goaty” mentioned in the commercial description I have been too nervous to try brewing with it yet. The strains were isolated from Rodenbach Foederbier, and New Belgium La Folie. ECY06 Berliner Weisse Blend – This blend contains Kölsch yeast along with a high ratio of Lactobacillus (L. delbrueckii and L .brevis), which makes for more aggressive sourness than either the Wyeast or White Labs Berliner weisse blends. ECY19 Brettanomyces custersianus – In primary fermentation, this strain produces a surprisingly lager-like character when young. As the beer ages a tropical fruitiness emerges, maybe a hint of DMS. Oddly the opposite was true when I used the strain as a secondary fermenter, fruity when young, much cleaner as it aged a few months in bottle. This strain was originally isolated from Bantu (millet) beer brewery in South Africa. ECY20 Bug County – A mixture of basically all of the microbes that East Coast Yeast produces, including ECY01, 02, 03, 04, 05, as well as additional B. bruxellensis, B. lambicus, B. anomalus, B. claussenii, B. nanus, B. naardenensis, B. custersianus, Lactobacillus, and Pediococcus. This is produced in small volumes even as far as this nano-yeast lab is concerned. ECY23 Oud Brune – Many brewers rely on the same culture for their Flemish browns as they do for their reds. However, the complex blend of microbes (including Brettanomyces) is often too attenuative. With only brewer’s yeast and three strains of Lactobacillus (L. delbrueckii, L. mali, and L. brevis), this blend leaves more residual body and malt character than blends like ECY02 or Wyeast Roeselare that contain Brettanomyces. ECY24 Brettanomyces nanus – Like their B. custersianus, the only isolate from its species available from a brewing yeast lab. It was isolated from a bottled beer from Kalmar, Sweden. Used for primary fermentation this strain creates a big white wine grape character, spicy, with some chlorine-like aromatics. Reminiscent of a saison. Used for secondary fermentation in a saison, the unpleasant aromatics faded, leaving the appealing fruity and spicy aromatics. B. nanus has actually been reclassified as Eeniella nana, so genetically it is now considered to be only a close relative of Brettanomyces. ECY30 Brettanomyces naardenensis – Another East Coast Yeast exclusive. The only information about it entered in the yeast bank that Buck obtained it from was that it was isolated from Dr. Pepper. This strain is a poor fermenter of maltose, and produces a surprising amount of acidity during primary fermentation. The resulting flavor is fruity with a slightly footy undertone, but overall pleasant. As a secondary fermenter that unappealing component takes over. ​ECY31 Senne Valley Blend – "Intended for primary fermentations due to the portfolio of wild oxidative yeasts. Emulating ales by employing similar microflora recently observed from a prominent Lambic producer​, this new blend includes various unique yeasts (Debaryomyces, Priceomyces , Wickerhamomyces, and Pichia)." ECY32 Lactobacillus brevis – "This strain of L. brevis was originally isolated from kefir. Bright acidity and hop-tolerant (up to 30 IBU). Fermentation temperature 60 - 80 F."
ECY33 Pediococcus parvulus – "Isolated from lambic which was refermented with grapes, this strain of Pediococcus produces lactic acid, diacetyl, and may cause ropiness in beer. Always add Brettanomyces where Pediococcus is used." ECY34 Dirty Dozen – Includes 12 Brettanomyces isolates including "various isolates from lambic-producers, B. bruxellensis, B. anomala, B. lambicus, and B. naardenensis." ECY35 Brettanomyces bruxellensis – "​Isolated from Belgian Gueuze, this yeast will be quite funky with barnyard notes accompanied by ripe tropical fruit." ECY36 Brettanomyces clausenii – "Notes of pineapple esters with acidity over time, no funk or barnyard present. Versatile." ECY37 Brettanomyces lambicus – "Cherry-stone and strong barnyard." Nicholas Impellitteri sent many of the strains he had isolated to Modern Times for us to add to our barrels, which we combined in various ways. Sadly, I haven't had a chance to brew with his packaged Brettanomyces blends yet. Amalgamation Brett Super Blend – "Amalgamation is the union of our six favorite Brettanomyces isolates from our microbe library. Each isolate produces a unique bouquet of bright and fruity flavors and aromas, and the combination of all of them into one blend results in the coalescence of these unique flavors and aromas into something truly special." Beersel Brettanomyces Blend – Two 3 Fonteinen Golden Blend isolates: "All of the strains in this blend provide a balanced profile of fruitiness and funkiness." Brussels Brettanomyces Blend – Lambic Brettanomyces isolates "barnyard funk with mild acidity and very little fruitiness." Lochristi Brettanomyces Blend – "One strain provides a moderate funk and light fruitiness, while the other strain adds a more assertive fruitiness dominated by hints of strawberry." Saison/Brettanomyces Blend – "The Brettanomyces strains are both good attenuators that produce some fruity esters and mild funk, and add a bright character to the beer." Saison/Brettanomyces Blend II – "The cultures in this new and unique blend include two saison-style Saccharomyces cerevisiae isolates (Wallonian Farmhouse II and Wallonian Farmhouse III) and two Brettanomyces bruxellensis cultures (TYB184, TYB207)." Farmhouse Sour Ale – "Farmhouse Sour Ale is a blend of Saccharomyces and Lactobacillus. It was formulated for brewers wishing to create a saison with a balanced acid profile that complements the complex esters of our unique farmhouse/saison yeast strains, but without the Brettanomyces funk." Funktown Pale Ale – Intended for primary fermentation. A mixture of the Conan ale strain, and a Brettanomyces strain well suited to primary fermentation. Lactobacillus Blend – "The Lactobacillus Blend includes three strains: Lactobacillus plantarum, Lactobacillus brevis and a strain of Lactobacillus isolated from a very unique brewer of American sour beers that returned a sequencing result of 'uncultured Lactobacillus.'" Mélange - Sour Blend – One of my favorite cultures for lambic-type fermentations. Soft acidity with a really nice lemon rind and hay component. One of the few blends that works magic without dregs! TYB184 Brettanomyces bruxellensis – "Isolated from a rustic farmhouse style beer produced in the Northeastern United States... This isolate is attenuative, produces a moderate acidic-like character and an ester profile of lemon/pineapple." TYB207 Brettanomyces bruxellensis – "Isolated from a Belgian-inspired brewery in the Northeastern United States... This isolate exhibits good attenuation, and produces a moderate acidic-like character and an ester profile the combination of which produces a character reminiscent of sweet tarts." TYB261 Brettanomyces bruxellensis – "Isolated from a unique mixed fermentation beer produced in the Midwestern United States, this Brettanomyces isolate exhibits a mild tartness and soft funk with a solid backbone of tropical fruit esters (papaya, guava, pineapple, guinep)." TYB House Sour Blend – "This culture will produce a dry, acidic, complex beer over time with a complementary profile of lactic acid, pineapple/orange/lemon/floral esters and earthy funk." BSI primarily works with commercial breweries. They are well known for working with brewers to develop custom blends of strains. Brett Drei/Drie – The "original" 3 Fonteinen isolate from Geuze Cuvée J&J Blauw - Great for primary fermentation, lots of tropical fruit, especially delicious in combination with American hops. Lactobacillus delbrueckii – Similar to White Lab's Lactobacillus in my experience. Aggressive and heterofermentative, but minimal lactic acid production. In Sweden, Maarten Vanwildemeersch started Saccharolicous to sell brewer’s yeast, as well as two strains of Brettanomyces. Brett I – Orval isolate. Brett II – A unique isolate from Brasserie à Vapeur Cochonne. Vanwildemeersch described as reminiscent of French cider. A microbe hunter named Jeff Mello isolates some strains from sour beers, but also less traditional sources (especially truly wild yeast). Has grown from a part-time hobby to Nashville-based fermentation geek-out. BBXMAD1 – The Mad Fermentationist Saison Blend – What can I say? Jeff honored me by taking my house Brett-saison-Lacto culture and isolating and recombining it! Full details in this post! BB0034A – Funk Weapon™ Series: #1 – "This rare, and commercially unavailable yeast isolate, produces pungent horse blanket and fresh leather aromas. Perfect for breaking out the funk in farmhouse-style beers." BB0035C – Funk Weapon™ Series: #2 – "Amplifies citrus and tropical fruit-forward hop flavors and aromas into a punchy ripeness. With extended time under CO2 pressure, pineapple and tropical fruit aromas will be more pronounced. Great for maintaining the nuance of hops in beer with better keeping qualities than a Brewer’s Yeast fermentation." BB0022 – Funk Weapon™ Series: #3 – "[C]reates wildly different flavor and aroma profiles depending on the age of fermentation. Young fermentations produce mild musty funk and ripe tropical fruit, while older and bottle conditioned ferments show off unique flavors and aromas of strawberry, cherry and tropical candy." BBX0089 – Sour Weapon™ (Pediococcus pentosaceus Blend) – "We’re excited to release our first 100% Lactic Acid Bacteria souring blend! We chose this specific blend because of its ability to sour quickly and cleanly at a range of temperatures, and due to its mild hop tolerance." BB22204 S. arlingtonesis – A wild Saccharomyces captured from Jeff's old backyard in Arlington Virginia. "This culture ferments extremely cleanly in the low 60’sF (Kolsch and Lager hybrids), and subtle fruity/citrus esters in the higher end of the Ale fermentation range (wheat-centric beers)." BBXSS-0715 Sour Solera Blend – "Instead, our Sour Solera Blend contains a unique and complex collection of Sacchromyces, Brettanomyces, Lactobacillus, Pediococcus and other funky yeast and souring bacteria pulled from an active fermentation." (Retired) Foedre's Folly – Flemish red blend grown from a swabbed foeder. (Retired) Honey Lee – Wild Colorado honey isolates. (Retired) Kombucha – Kombucha isolate, relatively mild character. (Retired) Pithos Blend – Lambic blend. SouthYeast isolates, trains, and characterizes a variety of wild strains. I've yet to use any of their strains, but I hope to soon! They have a couple non-Saccharomyces strains (B3 - blueberry and P1 - peach) that may produce lactic and citric acid, but they are still undergoing tests. Lacto1 – Isolated from spontaneously fermented beer. Mild acidity. Lacto2 – Isolated from prickly pear fruit. More aggressive acidity. Homofermentative (i.e., produces lactic acid without ethanol). Native Farmhouse Saison – Three native South Carolina saison strains, plus a unique isolate of Brettanomyces bruxellensis. Native Flanders – B3 farmhouse strain, two isolates of Brettanomyces and Acetobacteria we isolated from a contaminated sour barrel. Walhallaweisse – 50/50 blend of P1 Musserweissen and Lacto2. OYL-210 Where Da Funk? – A blend of fruity Brett strains intended for primary fermentation. OYL-211 Bit O’ Funk – The fruity strains from "Where Da Funk?" with the addition of a funkier B. bruxellensis. OYL-212 Bring On Da Funk – Omega's funkiest Brett blend. OYL-217 C2C American Farmhouse – "A 'coast to coast' blend of a saison strain from a famous Northeast U.S. brewery and a Brettanomyces strain from a Northwest U.S. brewery." OYL-218: All The Bretts – "This will be an evolving blend comprised of nearly every Brettanomyces strain in our collection (inaugural release will contain 12 strains)." OYL-605 Lactobacillus Blend – Includes very aggressive Lactobacillus plantarum isolate. According to the manufacturer it is capable of kettle souring to 3.42 in 17 hours and 3.24 in 40 hours at moderate temperatures (70-90F). GB110 GigaYeast Lacto – "A robust, fast souring lactic acid bacteria. Produces a clean tart flavor." GB121 Farmhouse Sour – "A blend of Belgian ale yeast, Brett and lactic acid bacteria sweet, sour and a little funky"
GB122 Berliner Blend – "A blend of neutral ale yeast and lactic acid bacteria. Use directly in a primary to make a crisp, sour beer!" GB123 Sour Plum Belgian – "Belgian ale yeast and lactic acid bacteria. Cleaner than GB121. Creates a beer with stone fruit/plum esters and sour notes"
GB124 Saison Sour – "A blend of saison ale yeast and lactic acid bacteria that produces a sour beer with fruity esters and a touch of black pepper"
GB144 Sweet Flemish Brett – "A pure Brettanomyces strain that produces a sweet, fruity nose with just a touch of barnyard and phenolics. Use in a primary to make an all brett beer or in the secondary to add character during aging." RVA 600 Lactobacillus – Homofermentative Lactobacillus rhamnosus. RVA 601 Pediococcus – "Lactic acid bacteria used in souring Belgian-style beers such as gueze and Lambic. Acid production increases with storage. Temperature range is 60-95º F."
Produces blends of dried ale yeast and lactic acid bacteria. Currently bring-your-own Brett although they are searching for a lab that will dry Brett for them. 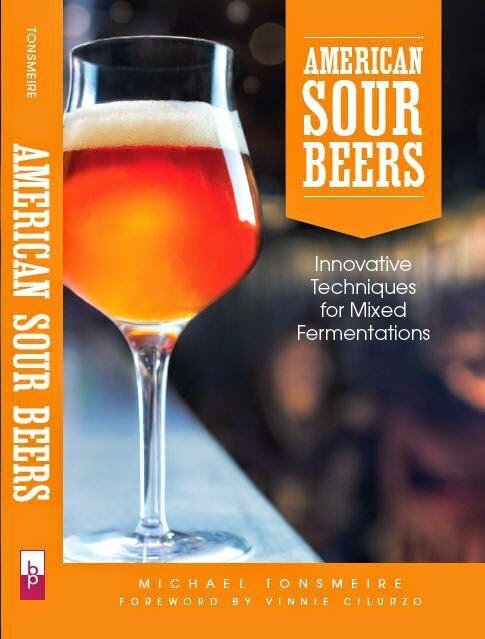 A4 American Sour Mix – Ale yeast and Lactobacillus. B4 Flanders Sour Mix – Ale yeast, Lactobacillus, and Pediococcus. F4 Belgian Sour Mix – Ale yeast, Lactobacillus, and Pediococcus. G4 German Sour Mix – Ale yeast and Lactobacillus. An Ontario-based yeast lab that will have some interesting sounding wild strains. Small yeast lab in Colorado specializing in funky/wild microbes. Interesting: "Our blends are maintained in a constant solera process, ensuring slight continual development and stable organism counts." A20 Citrus - Sounds similar to WLP644 Saccharomyces "bruxellensis" Trois, "When you want to use Brett, but you don’t... As funky as saccharomyces gets." F08 Sour Batch Kidz #1 - "Sour Batch Kidz is a blend of low attenuating Belgian saison yeast, Lactobacillus, and two Brettanomyces yeast strains. This blend is great for emulating lambics, Flanders reds, sour farmhouse ales and any other brew you would like to funk up." W15 Suburban Brett - "Suburban Brett is Brettanomyces yeast that works great as a secondary aging strain. It really shines when used in wood barrels and will produce complex and balanced aromas of sour cherry and dried fruit. It can also be used for as a primary strain for brett only beers"
INISBC-901 Brettanomyces Brux. I - "Isolated from a brewery in Brussels this particular Brettanomyces strain in known for producing aromatics reminiscent of horse, barnyard, sweat, and goat." INIS-902 Brettanomyces Bruxellensis II - "This strain is capable of fermenting a beer without the use of a Sacchromyces c.. This yeast produces a beer with a complex flavor profile, containing both fruity and sour notes." INISBC-903 Brettanomyces Brux. III - "Produces an aromatic profile that is more mild than INISBC-901 with increased tropical fruitiness." INISBC-913 Brett. Barrel Yeast III - "Isolated from a famous American wild ale brewery. Produces mild acidity and tropical fruit notes." INIS-914 Brettanomyces Morpheus - "Isolated from a small Belgian brewery known for producing sour and fruited beers. Yeast produces fruity and barnyard esters as well as well as a significant amount of acidity." INIS-920 Brettanomyces Lambicus - "Originally isolated from spontaneously fermenting beers, this strain will give your beer textbook Brett flavors like horse blanket and spice, but also fruity notes of pineapple. Fermentation will take well over a month to fully attenuate if used as a primary strain." INIS-930 Brettanomyces Claussenii - "Possibly the least “Bretty” of the Brettanomyces strains, Claussenii adds great fruity pineapple aroma without the traditional flavors that turn some off from Brett fermented beers. An excellent choice for adding a little funk to your barrel aged favorite." INIS-950 Copenhagen - "Isolated from a craft brewery in Denmark this unique yeast will add notes of barnyard and ripe fruit to beer." INIS-952 Ghost - "Isolated from a popular Belgian brewery known for its seasonal saison beers. This strain has a wide flavor profile producing fruity and funky notes." INIS-960 Fruit Sacch - "This strain exhibits many characteristics of brettanomyces, but is actually a wild Saccharomyces. At high temperatures, this yeast can produce notes of tropical fruit such as pineapple and mango while attenuating a beer 80+%. Great for making citrusy beers that require just a little funk to get the job done." INISBC-991 Lactobacillus brevis - "Lactic acid bacteria that produces lactic acid. Produces more lactic acid at higher temperatures and in low hop worts." INISBC-992 Lactobacillus delbrueckii - "Lactic acid bacteria that produces lactic acid. Produces more lactic acid at higher temperatures and in low hop worts." INISBC-993 Lactobacillus fermentum - No description. INISBC-998 Pediococcus damnosus - "Gram positive cocci that produces lactic acid. Also produces diacetyl and several proteins that may cause a "rope" to form in the beer." Lots of strains listed (some that sound as if they might be sour/funky), but not much information provided. JY87 - Brettanomyces bruxellensis Chateaux - "Strong pineapple and stonefruit aroma after prolonged fermentations (3-9 months). Great companion to beers that could use some funk, and complements hoppy beers perfectly. Flocculation is low, strain will form a pellicle when oxygen is present." Serjanov isolated three strains from Cantillon Iris, which are surprisingly fruity, lots of strawberry and sweet melon. C1 – "Incredibly sweet smelling, strong fruity smell with apples, pears, mangoes, honeydew, lots of honey, elderflowers, just general non-specific flowers and fruits, wood, hay, Bretty funk." C2 – "Strawberries, bubblegum, green apple, pear with a little wet sock/ good cheese and slight vinegar. Finishes dry." C3 – "Fruity and pineapple were the most common descriptions for aroma. Also there was more funk on the palate." Jason Rodriguez isolated two strains from Blåbær Lambik. Interestingly, neither is highly attenuative, making them good choices for bottle conditioning where they produce aromatics, but not excess carbonation. CB1 – Too urinal-cake-forward for my tastes. CB2 – Produces a wonderful blend of funky aromatics is a surprisingly short amount of time. We'll be using this one at Modern Times in several beers. A Canadian homebrewer, working to isolate some very interesting microbes. BBY009 Wild Canadian Blend - "Dregs from a blend of several sour/barrel aged beers from Trou du Diable. Complex woody-fruity aroma in the lab, untested in beer" . BBY014 Berliner Brett - "nice lemony/doughy character in secondary and bottling (as soon as 3 weeks), have not tested in primary yet. Could possibly be used in primary (maybe with an ale strain) after a sour mash to make a fast Berliner weiss with lots of character." Thanks for including us Michael! We also have Native Farmhouse Saison, which includes three native SC saison strains, a unique isolate of Brettanomyces Bruxellensis ( currently being confirmed by a third party), and our local lacto 2, which is an aggressive homofermentative lactobacillus isolated from prickley pear fruit. We also have our Native Flanders which includes our unique B3 farmhouse strain ( with noted citric acid production and straw-like phenolic) alongside two isolates of Brettanomyces and just sprinkle of acetobacteria we isolated from a contaminated sour barrel ( don't be afraid, the wild aceto is amazing in this combination). Our Walhallaweisse blend was also just released which includes a our P1 Musserweissen strain along with local lacto 2 in a 50/50 blend. great list! small nit-pick: the first entry, WY3191, doesn't mention that it contains Lacto (and a Sacch)... might be worth specifying, lest anyone think this is a brett-only offering. I just brewed my first lambic three weeks ago, having brewed sours for a few years. I used WL Sour Mix for my yeast. Having read this list, I am wondering if I need more bugs to make a great beer. Should I add some of my dregs (which I initially got from JP and Wyeast Brett L) to up the funkiness? I always think the more microbes the better, but it certainly isn't required! Interesting that you indicate that Pedio hasn't seemed to make your beer rope out. We recently pitched ~500 ml of a Pedio starter (really rich medium made with yeast extract, peptone, malt extract, glucose, and calcium carbonate to buffer) into a 2bbl batch of sour in a red wine barrel that wasn't quite sour enough for us- It got sour and roped out FAST. Granted, because there were already other microbes in the beer, the addition of the nutrients could have simply stimulated the microbes already established in the barrel, but combined with the observation that the starter was also "thick", that explanation seems a bit shaky. Was it the Wyeast strain of Pedio? I've had beers go sick, but never with Roeselare or any of the Wyeast blends alone. However (as I cover in the book) the tendecy for a beer to become "sick" is increased by various other factors - like the presence of simple sugars. Yep, ~1/2 of the Wyeast pack into ~500ml of the medium I described above. Both the starter and the 2bbl of beer it was pitched into were "sick" fairly rapidly. We've also had beers with mixed culture pitches from commercial sours get "sick" as well...I rather enjoy watching/tasting it go through that phase. Interestingly, we have not gotten much diacetyl when that is happening, making me believe that the Brett is either cleaning up really quickly or that the "sickness" may in some cases be caused by another EPS producing LAB. I'm just about to brew with the WY3203-PC de Bom Sour Blend. Any thoughts on any alterations I might want to make to a standard lambic recipe to help with a 1-2 month turnaround? Your latest blog update about new ingredients had me hoping you had used it. Considering De Bom was released a week ago... I'm dubious of achieving delicious and stable results that quickly from a blend, but if I hear some good results I'd certainly give it a shot! My first sour won't be ready until at least late fall so this experiment will help me bide my time. I suppose it's still a bit early but are you getting any feedback on WY5223 Lacto Brevis? After a failed first attempt at a Kettle sour with WY 5335 I decided to use the PC strain. I made a 2L starter and just pitched it on 11.5 gallons of 1.028 wort. I saved a couple ounces of the starter to measure pH and was amazed at how dry and sour it was. I wish I had saved enough for a gravity sample but I wanted all the bugs in the fermenter. I started two batches with 5223 (L. brevis) yesterday. It'll be some time before I can say anything definitive, but the starter was already tart at 24 hours, which is a good sign! I recently brewed a Dubbel recipe with a OG of 1.066, once this was down to 1.020 I racked into secondary and added Wyeast 3763 roselare. You mention that the addition of extra bugs helps out. Could this be replicated by adding dregs from various sour/wild beers overtime? Yes, bottle dregs are a wonderful addition to enhance the acidity and aromatics of subtler microbe blends. You can add them as you drink suitable bottles, but the earlier you get them in, the better! Many thanks Mike. Suppose that gives me a better reason to drink a few of my various commercial sours then. I ended up brewing using the De Bom yeast blend. I basically brewed your Sour American recipe with it and then tried it after a month. It had a wonderful barnyard aroma and tons of grapefruit juice flavors. I legged half of it and added 5 pounds of local cherries to the remainder. That was a month ago and I'm impressed with the cherry sour as well (but still deciding whether to blend it or keep as is). I am aging two carboys of Oude Bruin with Roeselare in one, de Bom in the other. Do you have any thoughts on optimum aging temperature? Wyeast lists 60-75F as optimum for Brett and 60-95 for Lacto/Pedio. I currently have them both in party tubs with a heating pad setup and am maintaining the Roeselare at 69-70F, de Bom at 75F (held the de Bom at around 80-85F for a month, which is the Wyeast recommended temp). I figure holding closer to the high end of the Brett temperature range will accelerate the souring, but I have no experience so its all conjecture. I age most of my sours at 65F at the warmest, although this time of year it's colder than that in my basement. Up into the 70s is fine, just riskier if an airlock goes dry and Acetobacter gets rolling. In general warmer is faster, but will result in sharper flavors. Hello, I've been trying to find out more details on 2 of the Imperial Organic Yeast offerings. Any idea what brett is in the W15 Suburban Brett, as well as what strains of microbes are in the Imperial Sour Batch Kidz? I've tried emailing Imperial Yeast but can't seem to get a response... Thanks! I haven't used any of their strains. Hopefully they respond and you can pass along the info! I actually picked up some of Imperial Yeast's Sour Batch Kidz. Hopefully works out well for my golden sour.